CUT. INSERT. CLICK. You know you have a completed connection when you hear the click. No need to measure and mark, just cut the PE-RT or PEX tube straight and even. Insert the tube into the connector until you hear the click. The spring steel retention wedge holds the clamp open. The click you hear is the tube pushing the wedge out of the clamp. You can see through the sight glass that the wedge has been displaced activating the clamp. The clamp then seals the tubing onto the two insert barb EPDM O-rings within the connector. 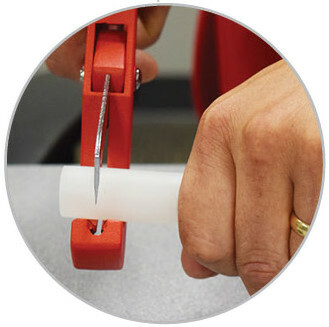 SmartClick™ makes a permanent joint. 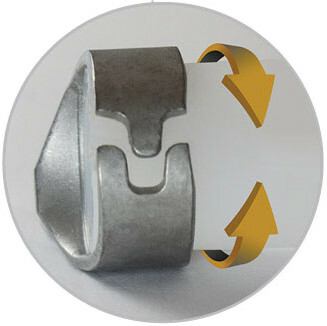 The spring steel clamp never yields, maintaining constant force even with pressure and temperature changes keeping the connector seal permanent. 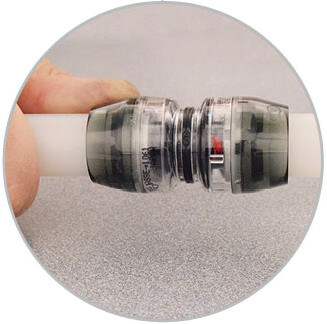 SmartClick is five times faster to install than any other PE-RT or PEX fitting. In seconds you have a permanent connection without using any tools. No measuring, crimping, cinching, expansion tools, or go/no go gauges are necessary when using this patented connection system. Cut the tubing and insert until you hear the click and in seconds you are finished. 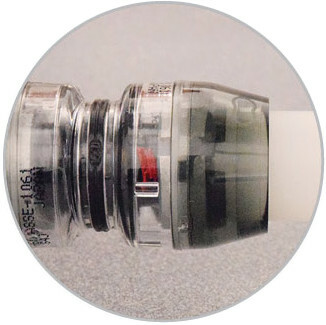 The spring steel clamp inside SmartClick closes around the outside of the tube sealing it onto the insert barb with two EPDM O-rings completing the connection. 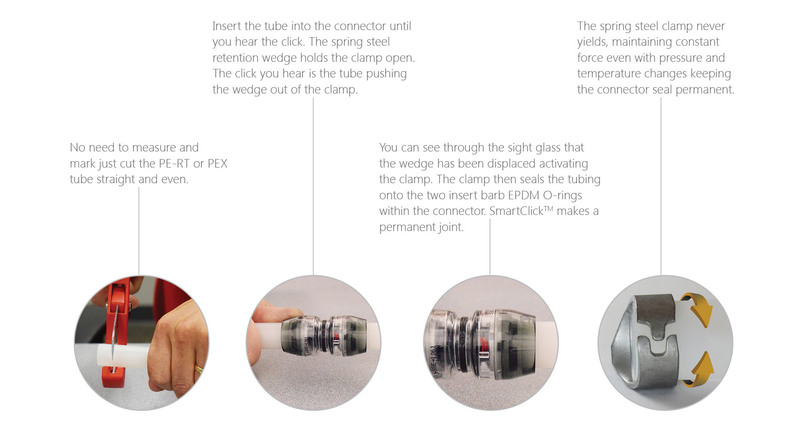 SmartClick is the only PEX and PE-RT fitting system that you can quickly verify by sight. Through the sight glass you will see that the retention wedge has been displaced from the clamp. This visual verification confirms that you have made a secure, permanent and leak free connection. SmartClick meets or exceeds all standards and requirements for potable water systems. 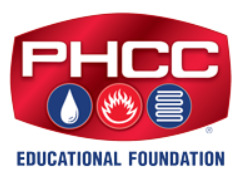 It is for use in potable water plumbing and hydronic systems utilizing PE-RT (ASTM F 2769) or PEX (ASTM 876/877). SmartClick is patented.